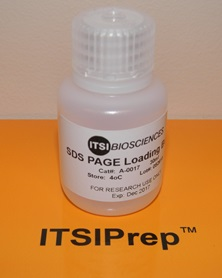 SDS-PAGE (2X) Loading Buffer is added to protein samples prior to electrophoresis on SDS-PAGE gels. 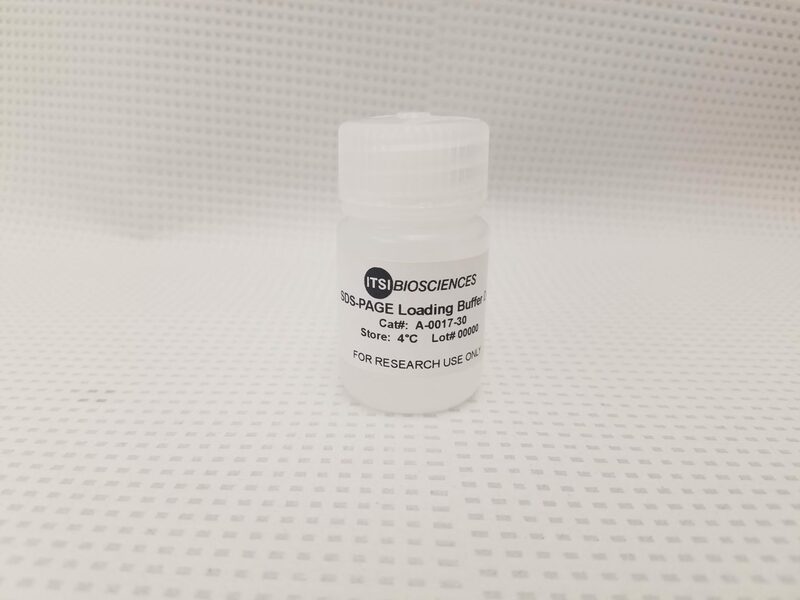 The loading buffer contains 2% SDS, 62.5mM Tris-HCl (pH 6.8), 25% Gylcerol, and 0.01% Bromophenol Blue. This unique buffer is prepared and validated for proteomics applications. Each kit contains 30ml of buffer. Cat No. A-0017-30 – $15.50.